One of the most beautiful things about children is there is no tainted experience to ruin their adventures and exploration. They haven’t been taught to be afraid. Spiders? Kids love them. Snakes? Incredible. Dentists? Exciting! 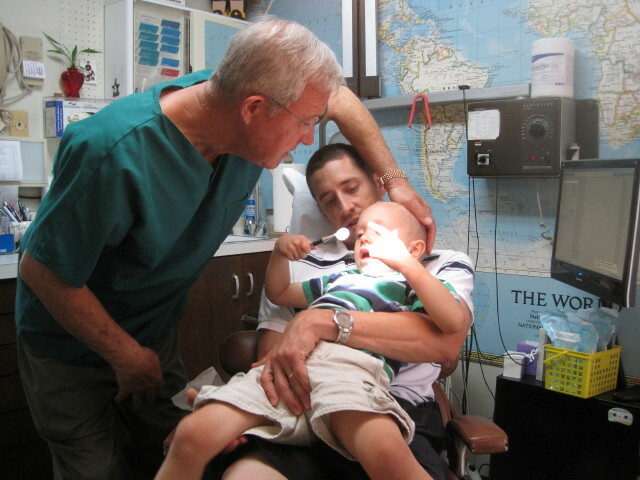 Joseph visited the dentist for the first time today. He wasn’t scared. He didn’t cry. He was excited to go. He’s been planning all week, reminding me that Wednesday he was going to go visit the dentist. He was so proud to have an opportunity to show Ms. Cynthia and Dr. Moore his teeth. So early this morning, Dax and Joseph set off for the dentist office. I worried a little. After all, everyone that Joseph told he was going to the dentist gave me a kind of skeptical, worried look. Our friends and family didn’t seem too excited about the upcoming event; rather they all gave off the impression that the dentist office is a place they dread, a place they avoid. So I did worry a little. Maybe we didn’t prepare Joseph well enough. Maybe he’d get there and not cooperate. Maybe he would think getting his teeth cleaned hurt! I should have saved my energy for something else. The entire experience was so positive for Joseph. 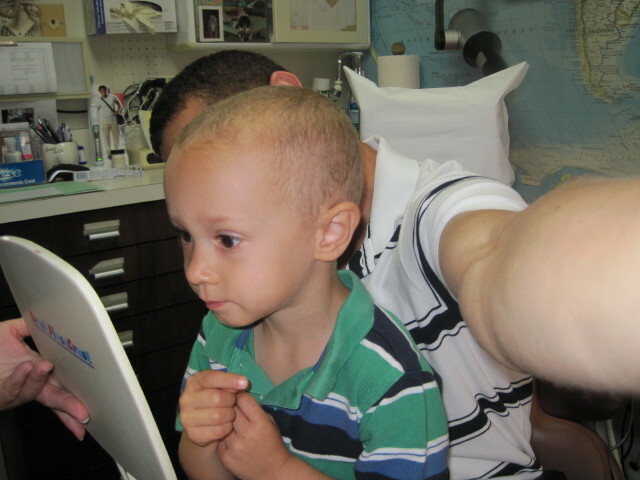 He had a great time, thanks to Ms. Cynthia and Dr. Moore. They praised him, telling him his teeth look great. They talked with him and laughed with him. They were so patient and so friendly. (I can’t be more specific about how wonderful they were because Dax was there, not me, but I know they were just wonderful because of the sheer joy on Joseph’s face when he told me he saw Ms. Cynthia and Dr. Moore and because I know from my own experience that they are so delightful). But I’d like to think maybe Dax and I had something to do with his positive experience, too. We never said “oh no, you’ve got to go to the dentist.” We made it sound like an adventure. We took him with us a few months ago while we each had our teeth cleaned, so he could see firsthand that it was nothing to worry about. For the past few weeks, we’ve been reading books about going to the dentist (Just Going to the Dentist by Mercer Mayer and Take Care of Your Teeth, a Rookie Read-About Science book). We acted out what it was going to be like to go to the dentist. We made up bedtime stories about little boys who visited the dentist. 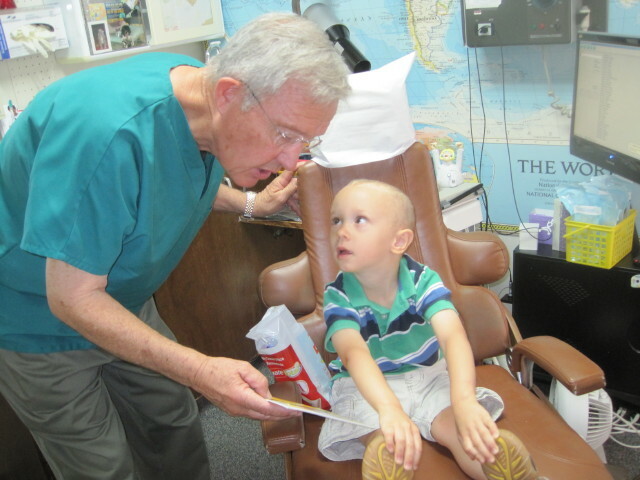 We told him that Dr. Moore and Ms. Cynthia would be so proud of how well he had been taking care of his teeth. How could he be anything but excited?! And it seems as if all of our effort worked. He actually enjoyed going to the dentist. He’s been telling me, nonstop, about his visit. 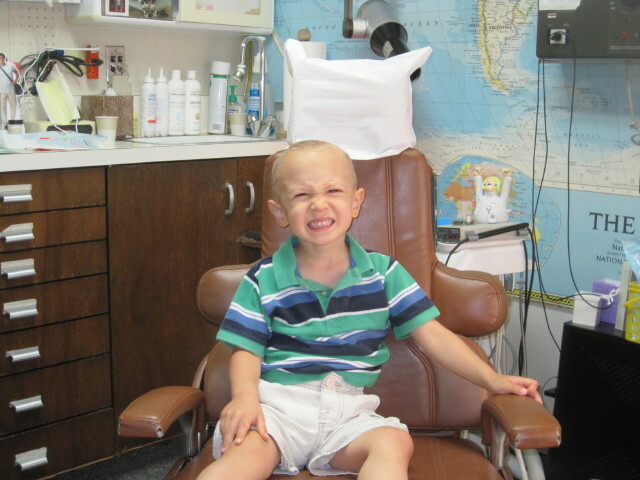 I’m not sure at what point we begin to dread visiting the dentist (maybe the first time we get a cavity?) but I’m relieved to know that Joseph isn’t at that point yet. Who knows? Maybe he’ll never dread it. Now wouldn’t that be something to smile about? 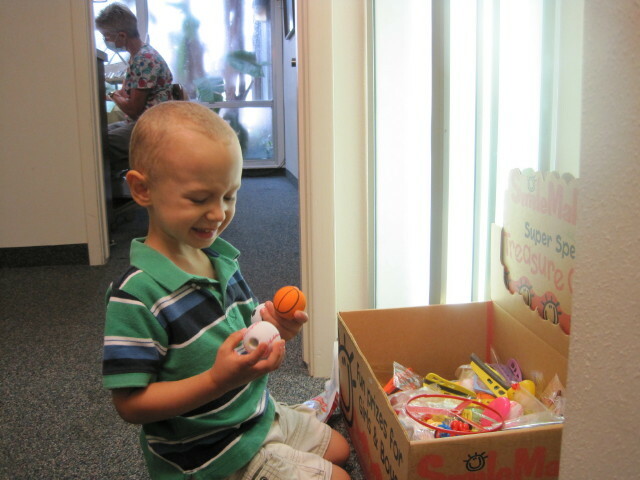 Maybe if there was a goodie box for adults, we'd be more excited to visit the dentist! Just like the dentists' mirrors in his books! A perfect check-up...definitely worth a smile! that is fantastic. Good job mom and dad.